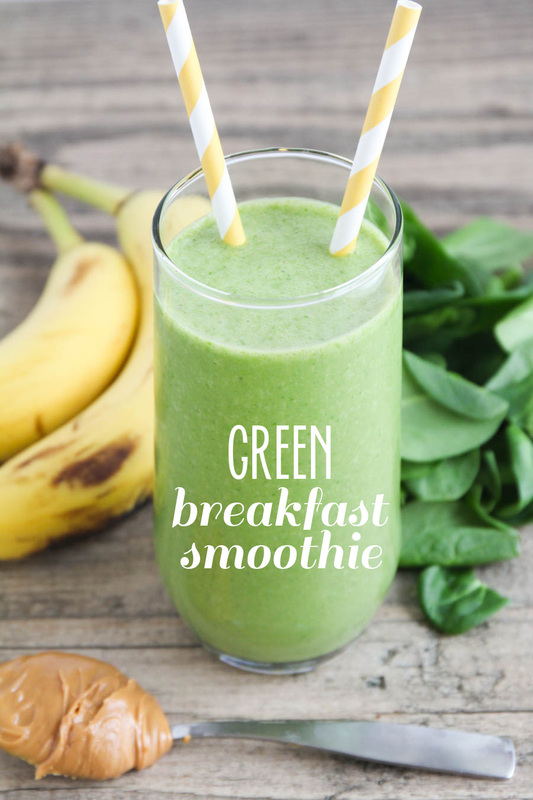 If you, like me, are in that post-Christmas I-ate-too-many-sweets haze, this green breakfast smoothie is for you! 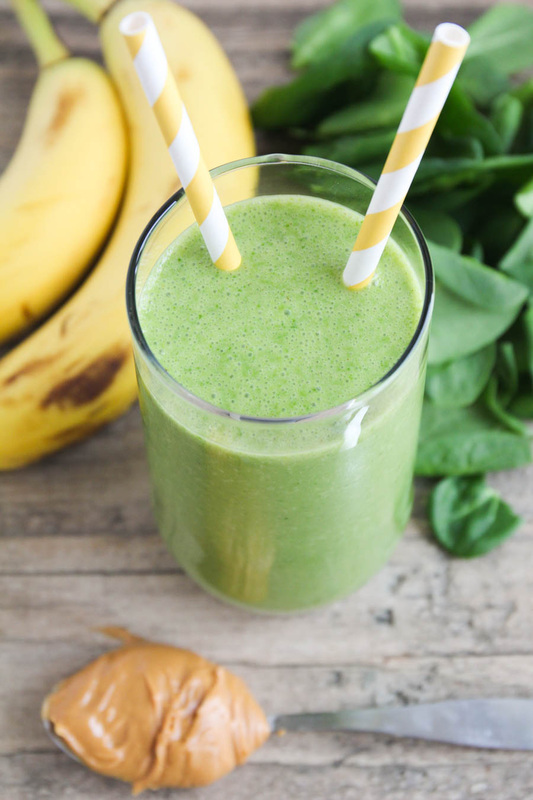 It takes only a few minutes to make, is packed full of vitamins, and is super delicious to boot. I've been making it for years, and it's perpetually a favorite. Even the kids love it! My four year old, who abhors anything green, drained her cup in all of five seconds and asked for more. Pretty amazing for a green drink, right? 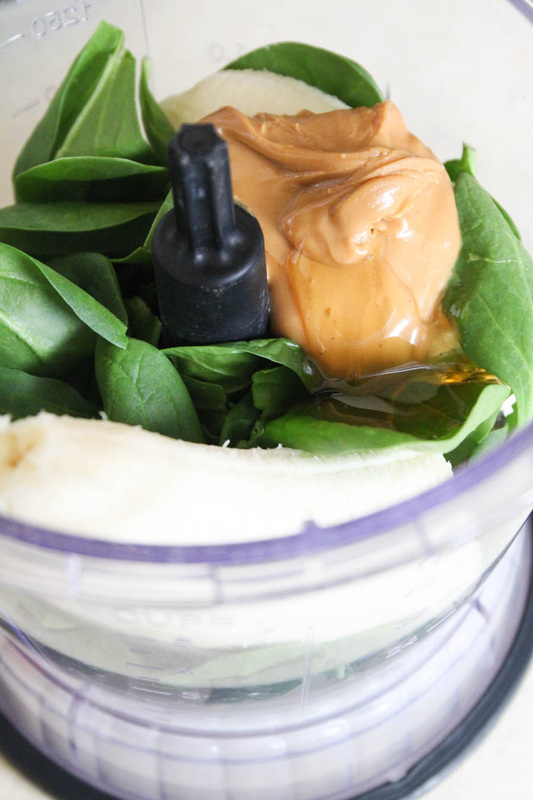 Add the almond milk, spinach, banana, peanut butter, and honey to a blender and blend until smooth. Add the ice cubes and blend until smooth. Enjoy! It looks deli! Gotta give it a try! That looks so GOOD!!! Definitely have to try after my workout!! Made this recipe this morning. My 4-year-old, while not picky, doesn't always like to try new things. She drank half my blender! I would say 2 adult servings, or 4 child servings. I split it with my two girls and it was just the right amount. If it is 2 adult servings is it possible to save the 2nd in the refrigerator for the following day? I couldn't say. I've never tried to save it overnight. I've tried leaving the second portion overnight, it does not keep well. The texture is way off and grainy. 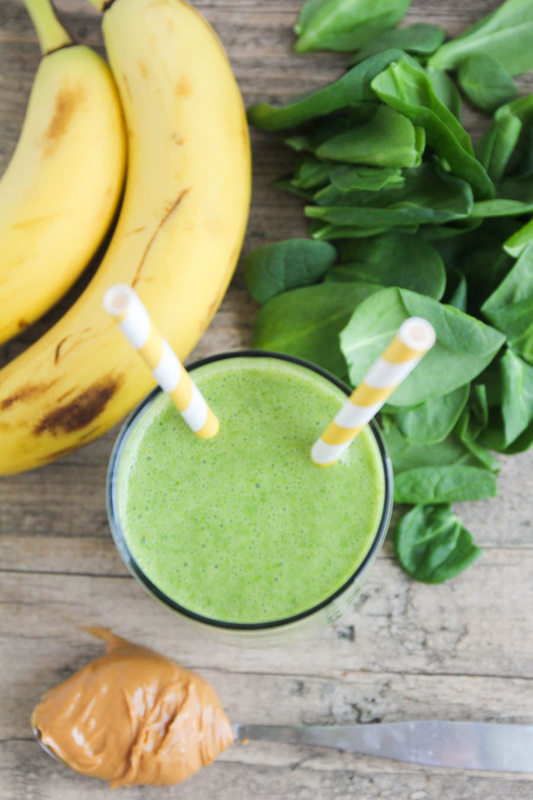 This smoothie is amazing and tastes SO good, but my advice? Drink it fresh, don't let it sit overnight.